This past Sunday, a group of us from OSI got to do something I have always dreamt about doing (but never thought I would). 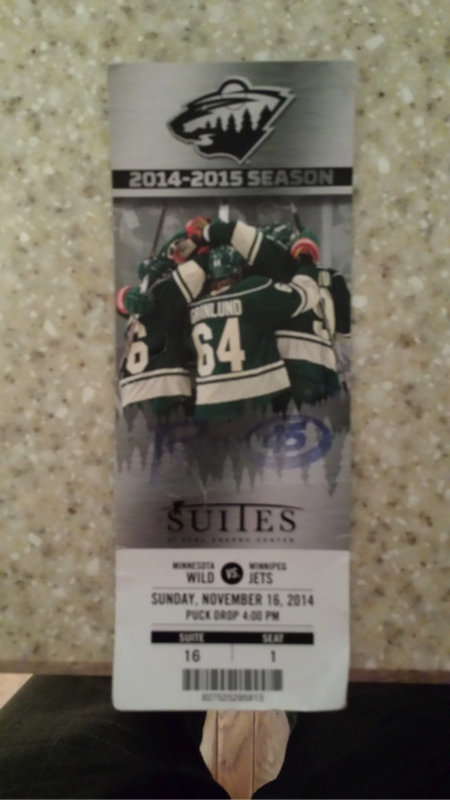 WE GOT TO SIT IN A LUXURY BOX AT A MINNESOTA WILD GAME! SCHWEEEEET! Not only that, but the Wild were playing their heated rival the Winnepeg Jets, so there were a bunch of rowdy Canadians at the game too! DOUBLE SCHWEET! Not only THAT, but our luxury box was right next to the Minnesota Wild Owner Craig Leipold’s personal box, so we were able to watch him nervously sweat through the whole game, then high-five him when we eventually won! TRIPLE SCHWEET! Overall we had a wonderful time catching up, eating some delicious food and drinking beverages together. We also learned deep life lessons like “Don’t let up just cuz you’re ahead” (Wild blew a 3 goal lead in the 3rd), and “Never give up” (Wild ended up scoring the game winner in OT). Special thanks to Tammy DeLong at KSTP channel 5 and TJ Mcleod (OSI’s chief marketing officer) for the hookup on tickets!